Have you got and inferiority complex, do you sometimes feel intimidated around certain people, usually, the seemingly stronger and confident type? You may even ask yourself. An inferiority complex is often described as having a sense of inadequacy, a belief that you feel that you are not good enough or worthy enough or you feel as if others are somehow better than you. If you lack self confidence, you are shy, quiet or you feel socially uncomfortable or anxious. Then this can be an indication that you have some inner insecurities or you have an inferiority complex. However, not all people who feel inferior are timid and shy. Some people can use anger and aggression to hide their feelings of insecurity inferiority. Whilst others will seek out positions of power, they might come across as boastful, they will feel the need for self importance or admiration. Or they will try to control people. The root cause of an inferiority complex is often born when we feel and believe that we are lacking in certain area's or we sense and feel as if we are not good enough. And when we diminish ourselves and look up to others. Far too many people judge themselves or compare themselves negatively or inappropriately to others and we think that we are not equal or as good as others. People who feel inferior often undervalue or play down their own abilities and they always perceive others as being better than they are. But, your own judgements are not true. They are just beliefs that have been given to you and a reflection of your negative experiences, mistakes and conditioning, so far. Nobody is perfect. Everybody makes mistakes and everybody shows themselves up and everybody gets things wrong or feels embarrassed at times. But, you have probably magnified and blown your negative experience out of proportion and then you have probably judged yourself on how you compare yourself to others. When you feel a sense of a lack of self worth and a belief that you are not good enough. You will remain focused on your perceived weaknesses and you will overlook all your qualities, abilities and your true potential. The important thing to be aware of is. The thoughts, perceptions and beliefs that you hold on to will determine how you feel, act, behave, what you do or don't do and what kind of future you create. Isn't, crazy that the only difference between us living a life of pain and struggle and becoming happy and successful, is how we judge and perceive ourselves. Your insecurities and emotional baggage will limit you, keep you small and hold you back. Emotional insecurities will keep you stuck in survival mode and make you a victim of your past, thus preventing you from creating and living a fulfilling and enjoyable life. The thing to remember, what we give our attention to and hold onto, expands and determines who we are, how we feel and what we become. Your life will be a reflection of the things that you convince yourself, so it is wise to convince yourself of positive and good things. How often have you said to yourself. The trick is to start saying the exact positive opposite to all the negative stuff and input. As babies and young children, we were constantly showered with love, affection, comfort and positive energy. When we were first born our parents would be able to temporarily put aside all their troubles, stresses and worries for a while as they would devote all the attention on to us. The arrival and joy of a newborn child would fill our parents with love, affection and happiness which would be all passed on to us. In our early years we could do no wrong, and were the apple of our parents eyes who adored and held us, at every opportunity. Any time we were upset, they would comfort us until we felt better and they would devote all their time and attention on to us, making us feel, loved, secure, protected and wanted. Also, young children have no self awareness and they don't care too much about how they look, how they come across or what others think about them. But, there is no way our our parents could maintain and keep up that level of attention. With all the stresses and strains of bringing up young children combined with having to work, look after us, look after the house and go to work. Bit by bit, the attention would drop off and as they stopped making you the object of attention, the negativity and the reality of life would begin to creep in. Because our parents have their own struggles, commitments and problems to deal with they cannot always give us the love, positivity and attention, that we once had. As a young child, it can be very confusing, when we can no longer rely on the positive feedback, love and adoration of our parents. Things can really begin to change when we start school, as we begin to lose the freedom, security and comfort that our own homes and family environment provided us. Now you and your world was beginning to change drastically. Because you could no longer count on your parents being there all the time. You probably felt like you were being abandoned and you probably felt like your once devoting and adoring parents, was now, not always there for you. You may have felt that they now, seemed to no longer take so much notice of you. One minute you're the focus of your parent's attention and you have the knack to make all around you laugh and feel good. Then it all changes and a huge gap is left, that you now have to bridge. Then, as we begin to venture out into the big wide and sometimes scary world by ourselves, we had to depend on ourselves to try and make sense the world. All of a sudden, there would be no one to turn to or comfort us, when we need help. As we grow older and we become more independent and self aware. We begin to judge, criticize and find things wrong with us. As we start school, we begin to notice that others are different to us. Some of us can feel as we are different or we start to compare ourselves to others, unfavorably. Bit by bit you can start to feel insecure and inferior. Because you can no longer fill your parents with joy and grab all their love and attention, it can even make you feel as if it is your fault. This can make you feel bad about who you are. Then, as you venture through life we pick up and collect many destructive subconscious beliefs, habits, negative emotions which will be the foundation for your insecurities. You now have to replace the love, admiration and affection that your parents once gave to you, with love and admiration for yourself. Nothing is more important to you, than to feel like you did when you were a young child. You cannot always rely on others to make you feel happy and secure. So now it is your responsibility. If you crave for love. Then always remember that your inner being, has always loved you and always will. It is now up to you, to do everything you can, to make you feel happy, relaxed and fulfilled. An inferiority complex can disempower you tremendously, demotivate you and leave you feeling worthless and inferior to others. After a while, your negative and limiting beliefs will become a part of you, and they will do terrible things to you, dragging you down and limiting you enormously in many area's of your life. If you're not careful. Your perceptions and negative beliefs will become your mental filters and blocks, to how you perceive yourself, your abilities and how you see your world. The reality is. You have the power to change you and make your life better through your thoughts and the actions you take. One of the root causes of feeling inferior is when we diminish ourselves and look up to others. We cultivate an inferiority complex when we think that we are not good enough, not capable enough not equal enough or not worthy enough. The truth is though. You are more than capable of changing, learning and becoming anything that you put your mind to. Because by changing your mindset you can begin to let go of your limitations and insecurities and change you and your life for the better. What will diminish you is when you put all your energy into focusing on your insecurities and not believing in your own abilities and not working on, building your own skills and strengths. You create an inferiority complex over a period of time, through your history of negative experiences, how much attention you give, and how you react to your bad or negative experiences. And the beliefs you buy into, regarding yourself on the opinions or comments of others. The seeds and foundations of an inferiority complex can begin in your very early childhood days and unless it is changed. Then it can continue to grow and impact the whole quality of your life for the rest of your life. When you believe that you are flawed, not worthy or not capable enough. Then this can severely limit you in your life and make you feel unhappy. But just because you may not think very highly of yourself and you might feel that you don't match up to, others. Doesn't mean that it is true. Like everybody else. You will have your own strengths and weaknesses. If there is something that you know cannot be changed about you. Then the best thing that you can do. Is to accept it and forget about the things that you cannot change. Because, what is the point in beating yourself up and dragging yourself down over things that cannot be changed? And then, put all your efforts and energy in, changing and making better all the things that you do have control over and just concentrate on working on them. An inferiority complex, is one of the area's that you can change. Because with a bit of effort, an inferiority complex can be reversed and changed. If you're not high on self esteem. Then your insecurities can soon start to get the better of you and they can have a negative impact and influence you in many ways. When you feel that you are flawed, there is something wrong with you, you are different or you convince yourself that others are somehow better or smarter than you. Then this will become a part of you and you will form a negative and destructive self image of yourself which will lower your self esteem and deny you of all the good and inner potential that awaits locked away inside of you. First of all try and Identify, what is holding you back and decide what needs to be changed and what has got to be changed. Overcoming your inferiority complex is a gradual process, because you cannot change in one hit. But if you keep at it, things will start to change and turn around for you and in time you will bear the fruits of all of your efforts. Feeling insecure, inferior and anxious, will rob you of your confidence and trick you into thinking that you're not capable enough or good enough to be the real limitless you. This needs to be turned around and you have to start to believe in your abilities and your limitless inner potential. If you want to begin to get your confidence higher, you need to start to change from within. This means that your inner self talk and mindset has got to be right. How you feel, act and behave, and how well you do in life, depends a lot on the words that you speak and the thoughts that you think. Your inner self talk and beliefs, will either make you or break you. The easy way to go about this is. If you have been using self defeating and self destructive critical and negative inner self talk. Say the exact opposite, to what you have been saying. Because there is always a positive opposite, to all negative self talk. "I cannot's to I can or I can learn"
I am not good enough to I am good enough"
When you buy into the negative comments, opinions, beliefs and suggestions of other people. You can take board these negative beliefs and you can start to accept them as being true. We tend to believe more, what others say about us, than we believe in ourselves. Another problem people who have an inferiority complex is. They spend too much time worrying and caring about what they believe, other people are or what they might be thinking about them. Often at to root sources of your inferiority complex is your perceptions, about how other people perceive and see you. The truth is. Other people are more focused on their own concerns and life, and they spend little to no time thinking about you. Ask yourself, how much of your thinking time is spent on thinking about other people? Another thing that you may do, which will make you feel inferior is. Wishing you were more like somebody else, who you may perceive as being better than you. Or not liking you or they way you are or look and wanting to be like somebody else. If this is you. Then how do you know what the other person feels or thinks about themselves? 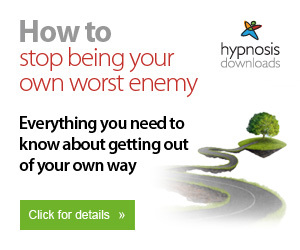 The biggest cause of negative feelings, self limitations and emotional suffering. Is when you think that there is something wrong with you. Or you desire to be more like somebody else. Because, when you do this. You're telling your inner being. Who loves you and knows that you are already good enough and you are more than capable enough, that you're not good as or your not equal to others. There is nothing wrong with inspiring to be as successful as others or as skillful or confident as others. But snap out of the biggest lie in the world. Which is the belief that you're not already good enough or capable enough. When you stop comparing yourself to others and you begin to focus and build on your own strengths and talents, instead of trying to impress or care about what you think others are thinking about you. Then you will start to get better and what you do and you will start to grow and expand and many new opportunities will come into your life. Have you got into the habit of always knocking yourself down? Picking faults with yourself. Do you regularly feel frustrated with yourself? People who are negative or feel insecure and feel inferior tend, to always focus on the negative. Instead of learning from their failures, they dwell on them and their shortcoming. Build yourself up, instead of diminishing yourself. Or they only see the worst case scenario and they ignore or overlook all the positive and all that is good or what might be. Let your failures become your teacher. There are many things that you do well and if you start looking, you will find many good traits about you. Because there are many things that you achieved in your life and there are many successes and accomplishments that you make each day. Many of them are small. Such as raising children, being therefore your family, friends and partners. Helping and being kind to others. Doing your job, studies or household tasks are worthy accomplishments. Then there are all the little things that you do good at. Like your hobbies and interests. So give yourself a break and make it habit to be nice to yourself and praise up for everything you do well each day. No matter how big or small they are. Life can be hard at times and you have already successfully come through many challenges and difficulties. So you are actually a lot more resourceful and stronger than you give yourself credit for and you’re probably doing a lot better than you think. What happens to our body when we feel inferior? Psychological issues like shyness, anxiety, worry and feeling inferior can change your posture and your physiology. When you feel inferior, it can leave you feeling intimidated by others. When this happens, your muscles can tighten and your posture can shorten in stature. When you feel inferior or intimidated, your body can shorten in stature, your confidence levels will dip and it can put you in the submissive posture of surrender. This can cause you to lose your power and charisma and it will be like handing over all your power to the person/persons that you are socializing with. Try and release and tension and get out of any tense postures. We all know that you should not collapse or slump. But it is as equally as bad, to try and sit or stand up straight. Things to avoid are. Lifting up your chin, forcing your shoulders back and lifting up your chest. Everything should feel comfortable and natural. Let go of your weaknesses and focus on your limitless abilities. Whatever you have been led to believe or whatever you might have convinced yourself. And, although we all have our own different skills and some people excel at certain things. You are as good and equal to anybody else. We all come in different shapes and sizes, and most of us, don't have model looks. But, that does not mean, anybody is any better than you. Some of the worse things that you can do is to want to be somebody else, or always comparing yourself to others. After all. Why would you wish to be like somebody else. Because on the inside, they might be a complete emotional mess. Your best and only option. Is to strive to be the very best version of you and to live the best and most enjoyable life experience you can. As this will build others up and knock you down. However, If you think that people are better than you, then you will feel inferior and this will take away all your power. The only person that can diminish you and bring you down is yourself. However, what you will often find that. Once you accept and forget about, the things that you cannot change. And you learn to chill out and go with the flow, without feeling the need to try and control things, impress others or try to hard. You will start to get better at most things that you do. Often, the less we care about things, the more we excel at them. Self acceptance, of your weaknesses is the first step to overcoming your feelings of insecurity. Then your insecurities will no longer be your weaknesses. When you overcome your inferiority complex. You will start to see yourself, for the true capabilities, and you will be free to unleash the inner powerful person that you really are. Because without all your insecurities holding you back, you will start to feel more emotionally balanced, and at peace and with yourself and your life. This will energize you, uplift you and empower you tremendously to take inspired action towards achieving all your goals and becoming your true unlimitless self. The session below. Will teach you, to stop thinking that you're not good enough or you not as good as others, and it will allow you to accept your weaknesses, and build on your strengths.